Dr. Lee-Wing is an eye specialist who specializes in eyelid surgery. In addition to eyelid surgery, Dr. Lee-Wing also specializes in tear duct surgery, eye socket surgery and cataract extractions. Dr. Lee-Wing obtained his medical degree at the University of Manitoba in 1988. His postgraduate training in Ophthalmology was completed at the University of Ottawa Eye Institute followed by fellowship training in Oculoplastic Surgery at the Universities of Ottawa and Calgary. 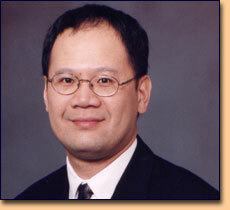 Dr. Lee-Wing is a board-certified ophthalmologist in Canada and the United States. He is a member of the American Academy of Ophthalmology and the Royal College of Physicians and Surgeons of Canada. He is an assistant professor at the University of Manitoba and is actively involved in the training of medical students and ophthalmology residents. Office hours are Mon - Fri 9am to 5pm. Please call the office at (204) 946-0649 to schedule an appointment.